ode45mod.m, A modified version of ODE45.M, which allows to specify accuracy in approximation of the initial value. perli.m, the general two-sector growth model according to Benhabib and Perli (1994), and perlipol.m, function file containing the ODE for perli.m. rbc3.m,bestmu3.m for the stochastic growth model with serially correlated shocks (King et al., 1988). SoWhat is an easy-to-learn, menu-driven program for the simulation of dynamic systems. No cumbersome programming is necessary. Dynamic models are more or less entered into the program as they are written on paper. Syntactical errors are immediately recognized and located by the Lexical Scan feature. Endogenous variables are automatically detected, parameter values of the exogenous variables, initial values and simulation options are entered interactively. Simulations can be stopped and continued after a change of parameter values. A Policy Section allows for an interactive definition of logical constructions of system conditions and conditional changes of parameters and system equations. 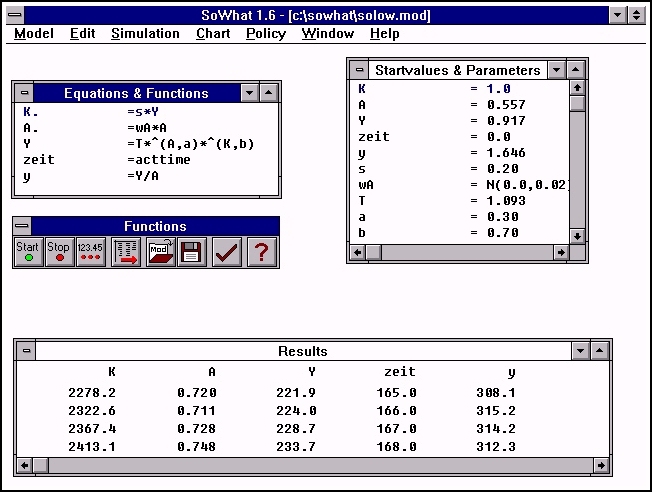 This feature provides a simple device for using the software for policy simulations, class room exercises, and computer based business games. 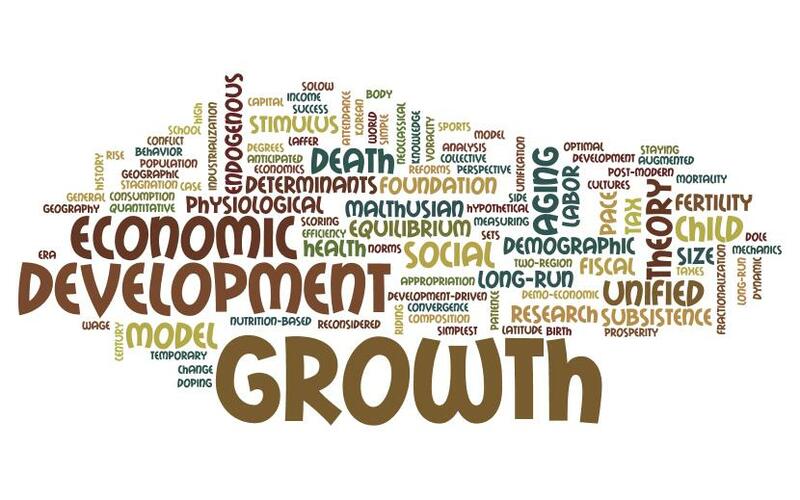 Having read SoWhat Quick Start a novice in the theory of dynamical systems should be capable to enter and run, for example, the Solow Growth Model within 5 minutes. The software contains also an extensive help system that can be used for further reference. German users benefit from a detailed and rather big (2MB) Handbuch. The software was developed and distributed by Bachmann and Strulik GbR aka Milestones Scientific Software. It is now freely available. A short description of the model library.